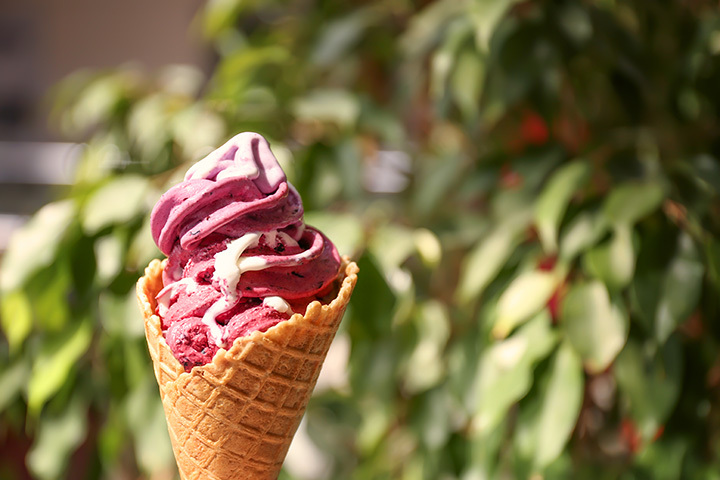 Come and treat yourself to some seriously sweet ice cream at the best spots across Washington State. Indulge in a scrumptious scoop of salted caramel, sweet cream, or the flavor of your choice at any one of these mind-blowingly good Northwest ice cream parlors. Here are our 10 favorites! Located in the quaint college town of Pullman. Ferdinand’s Ice Cream Shoppe has some of the most delicious ice cream you will ever have. Locals and travelers alike have nothing but the best to say about Ferdinand’s. Try their espresso milkshake, you won’t regret it! If you pass through Pullman and miss Ferdinand’s you’re really missing out. Molly Moon’s has all the classic flavors like melted chocolate, original strawberry and vanilla bean plus deliciously different flavors like earl grey and honey lavender. Dedicated to locally sourcing most of their ingredients, you can be sure to find some amazing flavors inspired from the region. Delicious fresh waffle cones and amazingly positive staff makes Molly Moon’s in Seattle a definite must visit next time you are in the Seattle area. Go for a full pint of coconut ice cream or the brownie ice cream combo here at Mora Ice Cream in Poulsbo. Dedicated to crafting a transcendent experience with every scoop, Mora Ice Cream Co. prides themselves in seeking the perfectly balanced ice cream. Come in and try out every flavor, they encourage you to! Certainly these creamy creations will have you licking your lips for more. Mallard Ice Cream and Café in Bellingham is a marvelous mixture of over 600 flavors of the deliciously simple and sinfully decadent. Customers of all kinds have praised Mallard for creating some of the best ice cream they’ve ever tasted. Worth a side trip just to taste Mallard’s amazing ice cream. Stop in to Elevated Ice Cream in Port Townsend for some creative and delicious ice cream. Serving up some of the Northwest’s best homemade ice cream since 1977, this lovable local favorite is a must-visit for all ice cream lovers! Stop into one of Seattle’s best here at Sweet Alchemy Ice Creamery. With a dedicated mission to serving up locally-sourced and organic options, you really can taste the difference. Enjoy a scoop of classic flavors or creative new ones like London Fog or chai tea latte flavors in a cute and clean atmosphere. Offering an eclectic selection of flavors, Brain Freeze Creamery in Spokane is a relatively new ice creamery that is making milky waves in frozen delight. With peculiar yet appropriately-named flavors such as mudlin dubslide, anvil espresso, or malties falcon. Brain Freeze Creamery in Spokane Washington is a must visit! A small-town icon, C.C.’s in Duvall has that classic ice cream parlor charm that gives its customers some truly tasty frozen treats at an affordable price. A lovable local favorite, C.C.’s will have you coming back for more! This old-school soda fountain shop pumps out amazing ice cream for the whole family, the Brown Derby with the double chocolate donut and peanut butter cup ice cream is a must try. Come in and enjoy the warm and friendly staff with the chilled and creamy treats. You will love Shug’s Soda Fountain and Ice Cream in Seattle! Gelatiamo comes highly recommended by many Seattleites. This Italian café crafts some of the finest Italian ice cream “gelato” your taste buds will ever experience! A truly authentic Italian Café, there is no finer place for gelato in Seattle.